Can I Get in Trouble If I Lie to My Creditors? The U.S. 11th Circuit Court of Appeals, which has jurisdiction over bankruptcy cases from Florida, recently examined the meaning of that final qualifier–“a statement respecting the debtor’s” financial condition. Specifically, the Court addressed whether a debtor commits fraud if he makes a misleading statement about a “single asset” rather than their overall financial condition. The debtor in this case owed money to a law firm that had represented him in an unrelated civil lawsuit approximately 12 years ago. The law firm claimed the debtor owed about $60,000 in legal fees. At a subsequent meeting, the debtor told the firm he expected a tax refund of “approximately $100,000,” which he would use to pay his bill. The firm said it relied on this statement and continued to represent the debtor in his lawsuit. But when the debtor finally received his refund–which was only about $60,000–he decided to spend it on his business instead of paying his attorneys. Five years later, the bill still unpaid, the law firm obtained a civil judgment for more than $100,000 against the debtor. The debtor then filed for bankruptcy. The law firm challenged the discharge of its civil judgment, arguing it was a product of fraud. The bankruptcy court agreed the debt was non-dischargeable due to the debtor’s “fraudulent statements.” But the 11th Circuit disagreed and held the debtor could discharge the law firm’s $100,000 judgment. The appeals court said that a statement “respecting” the debtor’s financial condition “includes a statement about a single asset,” in this case the tax refund. The use of the word “respecting” meant the exception was was not just limited to statements about “a debtor’s overall financial condition,” i.e. a list of all known assets and liabilities. The 11th Circuit further noted the law firm could have avoided this outcome had it asked the debtor to “put his promise to spend his tax return on their legal fees in writing before continuing to represent him.” The bankruptcy code expressly states a “refinancing of credit” obtained through a written statement that is “materially false” is not dischargeable. The 11th Circuit’s reading of the law actually differs from at least three other federal appeals courts. These other courts have said debtors are only protected when they make statements about their “overall net worth,” rather than specific assets. But unless the U.S. Supreme Court eventually weighs in, the 11th Circuit’s view will prevail in future Florida bankruptcy cases. And the lesson here is not that it is okay to lie to or cheat your creditors. 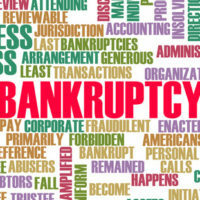 You do not want to take any action that may affect your legal rights in a future bankruptcy case. If you are having problems dealing with your creditors, the best thing to do is contact a Miami bankruptcy attorney who can help you avoid additional legal complications. Call the Law Office of Julia Kefalinos, P.A., to speak with someone right away.